Observation - macaroni fungus - Global. Description: looks like white paint on rotten wood from a distance but actually consists of little tubes. 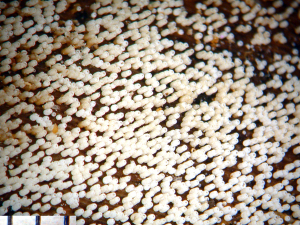 looks like white paint on rotten wood from a distance but actually consists of little tubes.